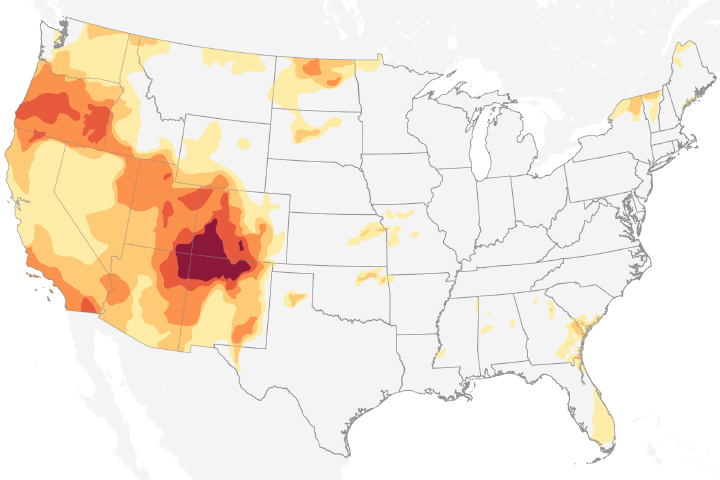 Much of the U.S. Southwest is heading into summer in the throes of a persistent and ever-more severe drought. Temperatures across much of the region in 2018 have been well above the norms, while rainfall and mountain snow have been well below—a recipe for struggling farmers and concerned forest fire managers. According to the U.S. Drought Monitor, approximately 97 percent of the state of Arizona is now in severe drought, with 16 percent of the area rated as “exceptional drought” (the worst rating). 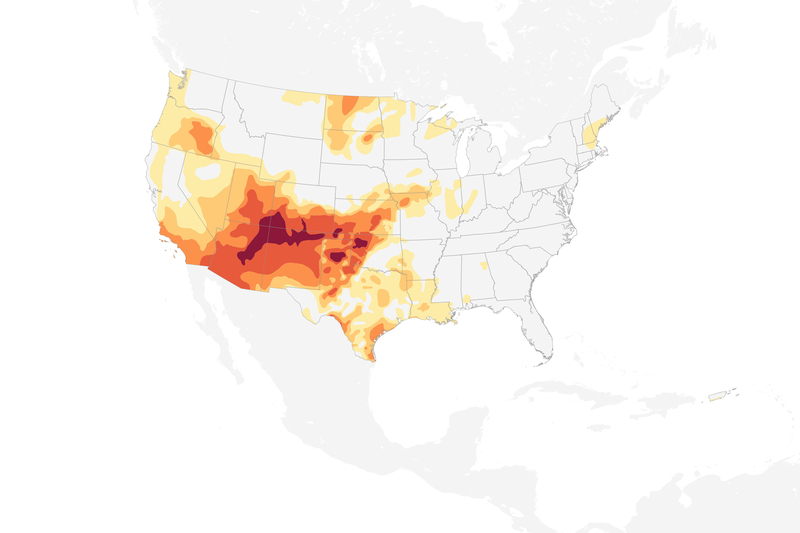 In New Mexico, monitors estimated 88 percent of the state in severe drought and 18 percent exceptional. 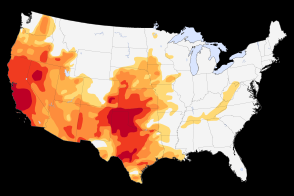 Severe drought also gripped Utah (60 percent), Colorado (51 percent), Oklahoma (41 percent), and Texas (23 percent, mostly in the north). 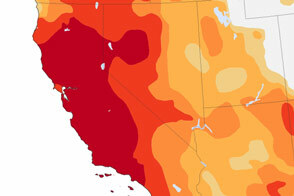 California, which climbed out of a long-term drought last year, is back to 21 percent severe drought, almost all of it in the southern third of the state. 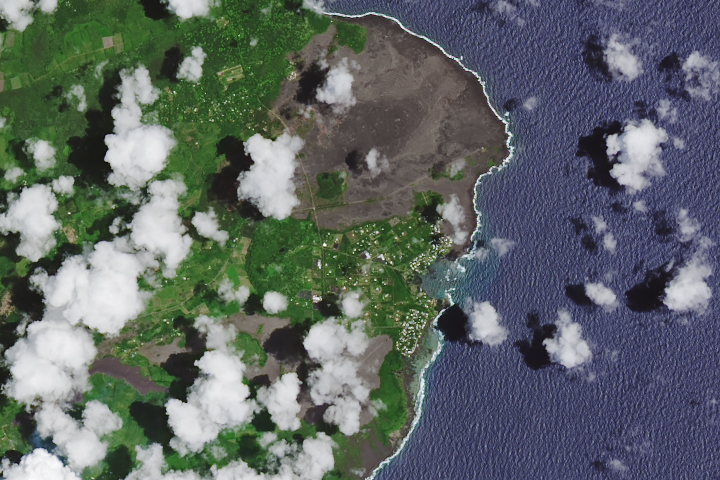 The second map is derived from data collected by the Soil Moisture Active Passive mission (SMAP), the first NASA satellite dedicated to measuring the water content of soils. 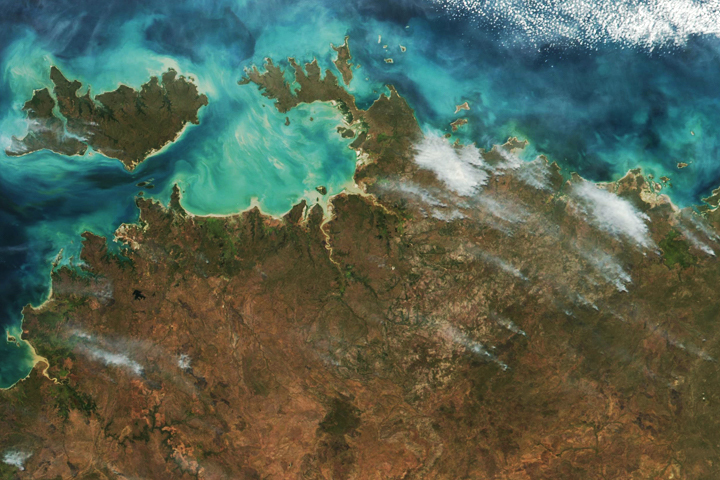 The satellite uses a radiometer to measure soil moisture in the top 5 centimeters (2 inches) of the ground. 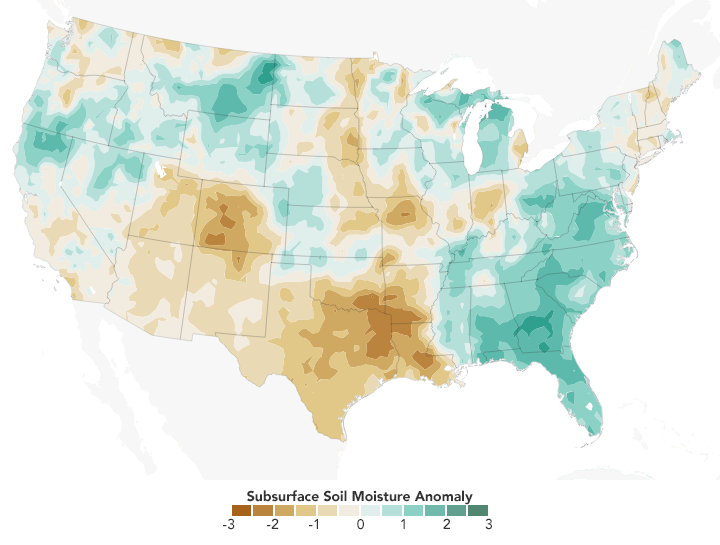 The map shows soil moisture anomalies—how much the moisture content was above or below the norm—in the United States in mid-May 2018. In early May 2018, nearly 200 wild horses were found dead on Navajo Nation lands in Arizona. Water restrictions have been instituted in several parts of New Mexico, as reservoirs dropped to low levels. And the U.S. Forest Service has closed most of 1.6 million-acre Santa Fe National Forest due concerns about wildfires. Managers had banned all campfires in the forest in early May, but after workers found more than 100 unattended campfires (even after the ban), officials felt compelled to close the entire park rather than risk a tragic fire. 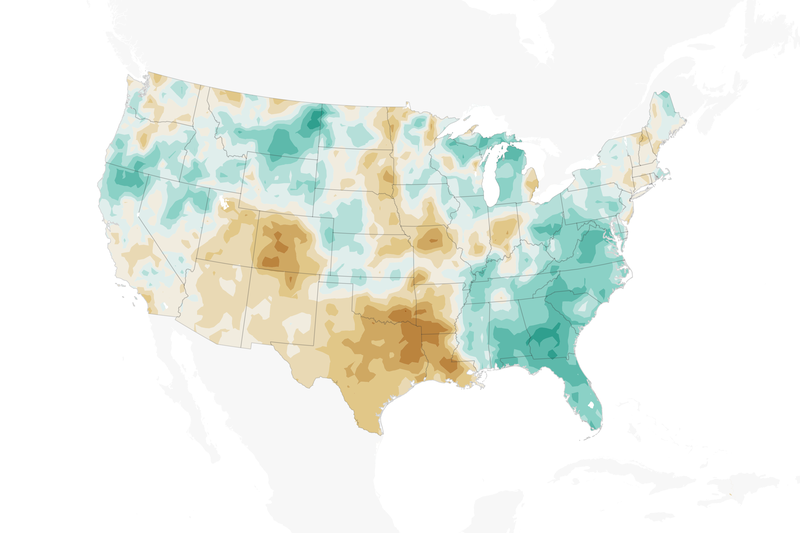 The NOAA Climate Prediction Center expects dry conditions in the Southwest to persist through at least June and perhaps the entire summer. 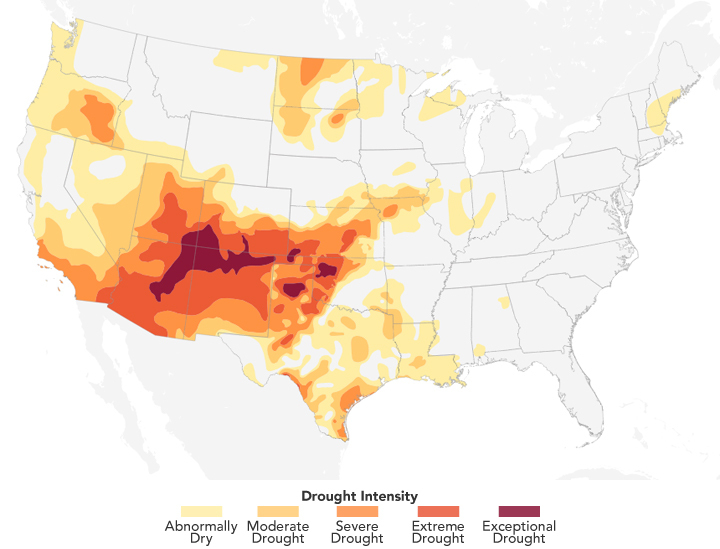 “The drought that has waxed and waned since 1999 still has southwestern water managers scrambling to meet the demands of urban, industrial, and agricultural users,” said Bill Patzert, retired NASA climatologist. 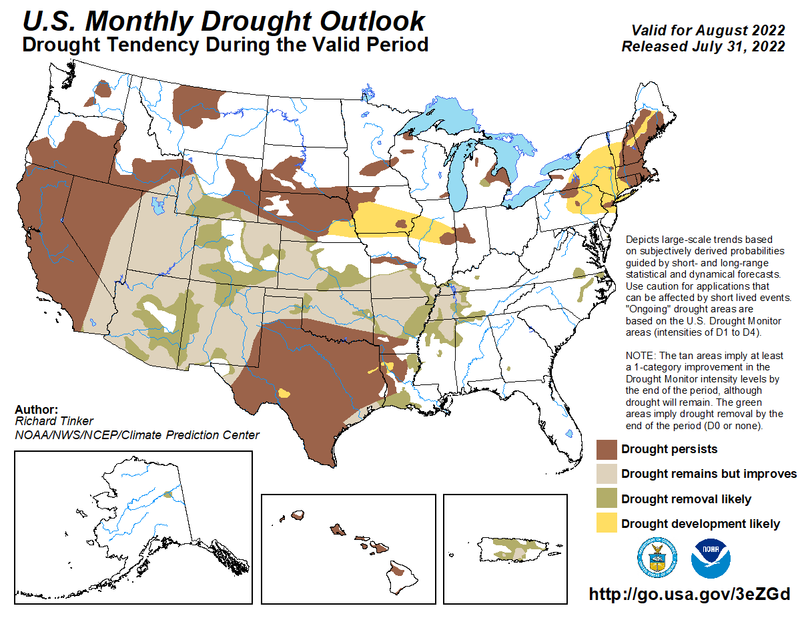 “The pattern of dry years outnumbering wet years is normal. History shows that droughts are decades long, not just one or two years.” Patzert’s research suggests that these repeating, multi-decadal droughts are related to slowly shifting patterns of sea surface temperatures in the Pacific Ocean known as the Pacific Decadal Oscillation. 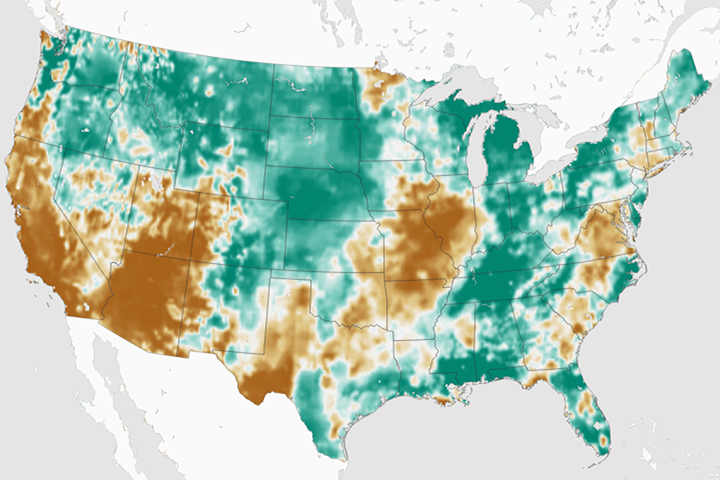 NASA Earth Observatory images by Joshua Stevens and Lauren Dauphin, using soil moisture data from NASA-USDA and the SMAP Science Team, and data from the United States Drought Monitor at the University of Nebraska-Lincoln. Story by Mike Carlowicz. Temperatures across much of the region in 2018 have been well above the norms, while precipitation has been well below—a recipe for struggling farmers and concerned forest fire managers. AZ Central (2018, June 2) Arizona’s drought continues. Could monsoon soon bring relief? Accessed June 11, 2018. CBS News (2018, May 6) Nearly 200 horses found dead amid Southwest drought in Arizona. Accessed June 11, 2018. NOAA National Centers for Climate Information (2018, June 6) Assessing the U.S. Climate in May 2018. Accessed June 11, 2018. Reuters (2018, May 31) New Mexico closes national forest to public due to drought, fire risk. Accessed June 11, 2018. U.S. Drought Monitor (2018, June 9) This Week’s Drought Summary. Accessed June 11, 2018. The Washington Post (2018, June 7) The U.S. just had its warmest May in history, blowing past 1934 Dust Bowl record. Accessed June 11, 2018. 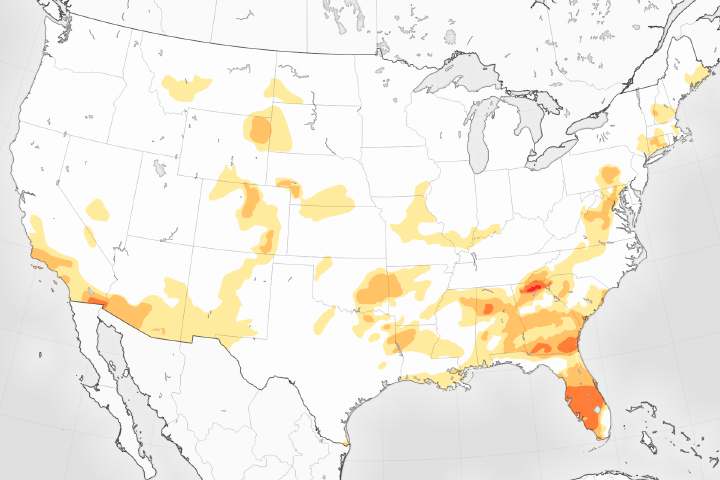 Drought Recorded Across Half of the U.S.